At Dole Packaged Foods, we believe every day deserves more sunshine. Because more sunshine means more smiles, more energy, and more of the bright, healthy life you work so hard to achieve. That’s why we offer a full line of fruit products that makes it easy to add more sunshine to your day, every day. From a full line of canned, jarred, pouch, dried, frozen, and aseptic fruit products, Dole Packaged Foods, LLC. is a world leader in growing, sourcing, distributing, and marketing fruit and better-for-you snacks. Dole Packaged Foods also has an unwavering commitment to customers' needs in the critical areas of quality assurance, food safety, traceability, environmental responsibility and social accountability and ensure there’s vibrant goodness in each and every one of our products. 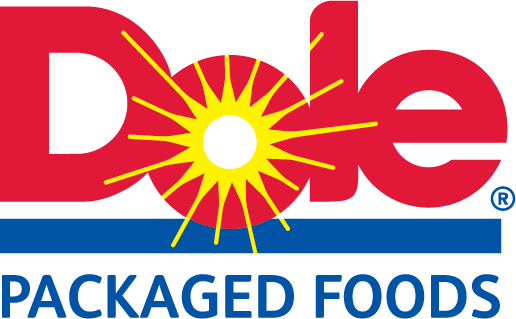 To learn more about Dole Packaged Foods Corporate Social Responsibility Initiatives, visit doleintlcsr.com. Thank you for your interest in learning more about DOLE Packaged Foods, LLC. We offer a wide variety of quality products and ideas that add convenience, value, and innovation to any Foodservice, Convenience Store, Vending or Industrial operation. To learn more, contact your Dole Packaged Foods rep or call our toll-free number 800-723-9868 Monday through Friday 8:00 am to 5:00 pm Central Time.